The views of Boulder iconic Flatiron formation are breathtaking from the south end of town. The Flatirons Vista open space trailhead is one of the best places to take in the view of the Flatirons where prarie meets the mountains. This area also happens to be one of the windiest locations in all of Colorado. This morning a storm with fierce winds was approaching Boulder. There was a tiny break in the cloud cover to the east of town and the winds were still modest enough that photography was possible. 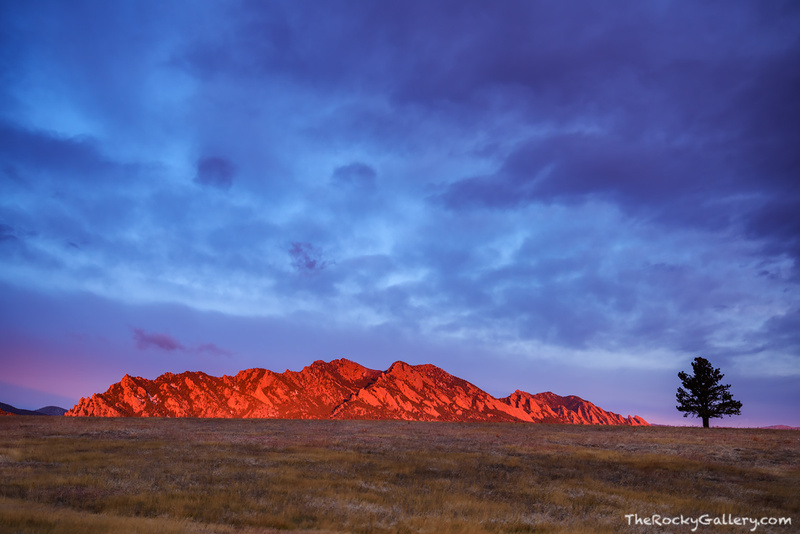 For a few brief moment, sunrise illuminated the Flatirons as the storm and wind closed in around Boulder. Photo © copyright by Thomas Mangan.